If you were not brought up in the Netherlands, then there is a fair chance you may never have learned how to ride a bike properly. 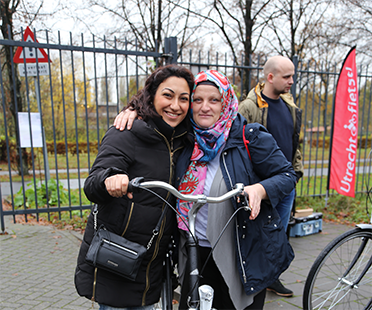 Especially for these adults we organize cycling classes at 12 locations across Utrecht. A cycling course consists of 10 classes and costs 15 Euro for the entire course. Practice bikes are provided at the locations (free of charge). Click here for the schedule and locations. I want to learn how to ride a bike! 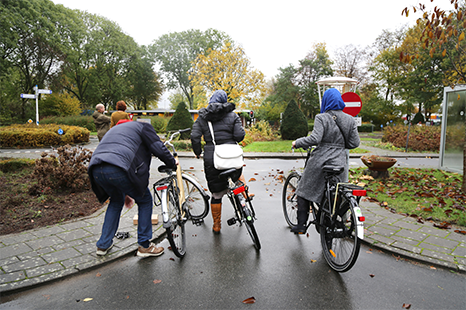 Do you want our Bikemasters to teach you how to ride a bike? Or do you know someone who could benefit from cycling classes? Do not hesitate and subscribe now! Would you like to know more about the cycling classes for adults before you subscribe? Feel free to contact Bikemaster Dennis: 06-51 29 69 63 | dennis@defietsmeesters.nl.